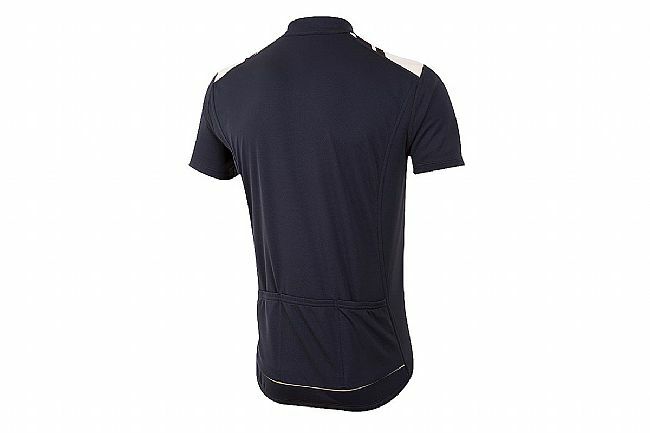 Pearl Izumi's Quest Short Sleeve Jersey blends classic styling with their SELECT Transfer fabric for a smart-looking top that'll keep you comfortable all day long. The SELECT Transfer material is not only comfortable and durable but also moisture-wicking so it stays dry throughout the ride. The 12" front zipper allows for customized ventilation, and Pearl Izumi epaulets on the shoulders add a stylish touch. Available in multiple colors. Three rear pockets. Reflective elements increase visibility in low light. 100% polyester. Semi-form fit. Comfortable and perfect fit. I'm 6'-0 and 210. I prefer slightly loose fitting jerseys and this one XL is exactly what I wanted. I just ordered a second. BRIGHT,LIGHT,FEELS GOOD.GREAT TO TRAIN IN. I WEAR THIS JERSEY TO TRAIN IN ON DAYS THAT ARE COOL.I CAN EVEN WEAR UNDER ARMOR UNDER IT IF NEEDED. Generally a fast dryer. I haven't noticed any discomfort from the moisture wicking fabric or seam issues. Fits a little loose with minimal flapping in the wind at higher speeds. Pockets seem strong enough. I've carried a backup battery for the phone without issues. I'm 183 lbs, 6'1 and wear a large. I just bought a second jersey. I highly recommend hand washing or the wooldelicate cycle on your washing machine. If washing machine, use coldcold or coldwarm and do not load with other heavy fabrics. I did get some thread pulls right in the front on the second washing. I think this happened because it was in a mixed load. I also turn the shirt inside out to protect the fabric. Also zip up the shirt so the zipper doesn't abrade the fabric as much. This seems to work and the thread pulls have abated. You have to be careful. Great feeling fabric, fits nicely. Well designed and feels awesome. Great feel on long rides. Great training and touring Jersey. Wife says black makes me look thinner which is a plus for me. Nice fit & well made. It's a jersey, it's bright yellow to help the cars see me, and has a couple pockets to hold nutrition. Seems ok to me. The sizing is a tad large and when I order again I'll get the next size down. 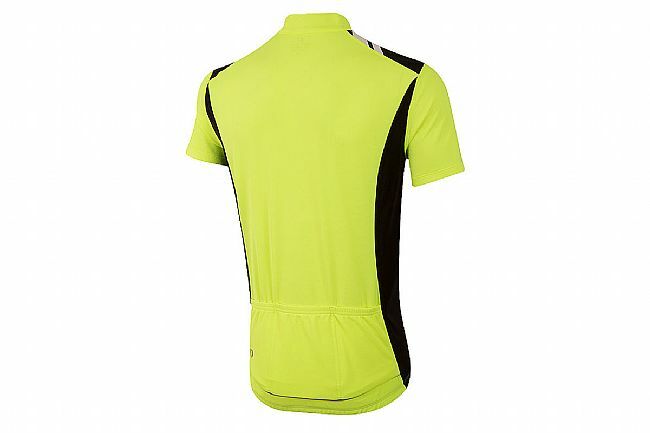 Bright safety jersey that appears and feels to be of good quality, I would buy it again. I like that this jersy is loose fitting and the extra length that it has. I feel cooler riding with this jersey on versus other clothing. The short sleeves are great for the spring-summer months. Will be buying the long sleeve version for fall, early winter. Just a great all-around jersey. Available in XXL and great fit! 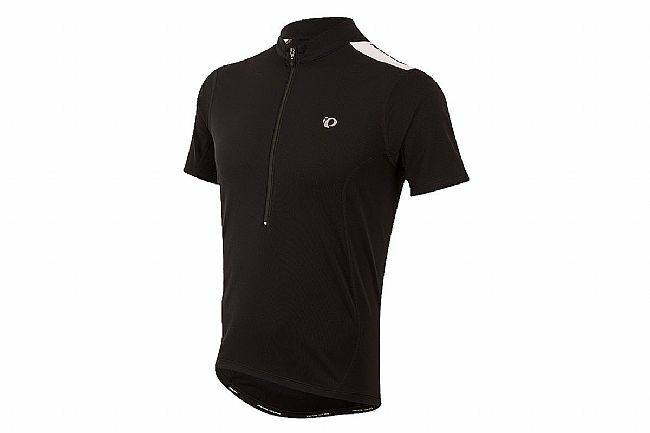 This Pearl Izumi was available in a men's 2XL and fits my rather large husband. Some large sizes are too long and not wide enough. This one has ample room - not the tight fitting Italian style. Im not a compression fit guy (6 tall, 180 lbs) and this shirt in large fits me great. Have already bought it in long sleeve. Love the style and visibility on the road. Good product, but too baggy. Comfortable, but larger than expected. This shirt is ok. It would be better if it were form fitting. I have to admit, I bought it after putting on some pounds. So this shirt could be good if you're a middle aged man trying to hide your gut. In that case, maybe this shirt is great. 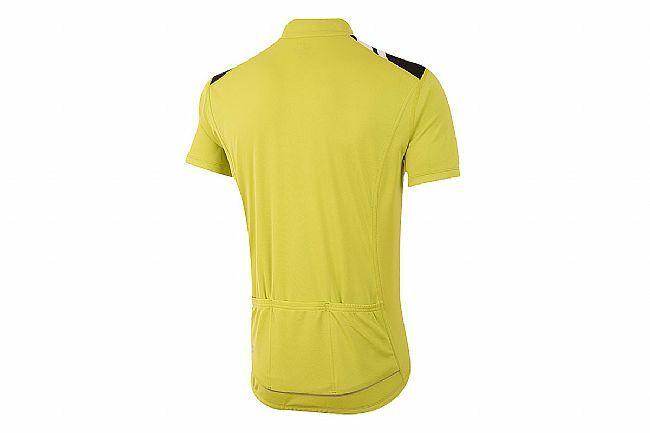 But I always find that accessing the back pockets and slipping through the wind is easier with a form-fitting jersey. Feeling good with the ride! This is a great jersey when riding in warmer weather. It breathes while riding and is also quite visible to other riders and motorists. I use the short sleeve in warmer weather and long sleeve in cooler weather. Great purchase! Not your usual bike jersey. Not as clingy as the usual jersey and the extra reflective sections are a nice touch. 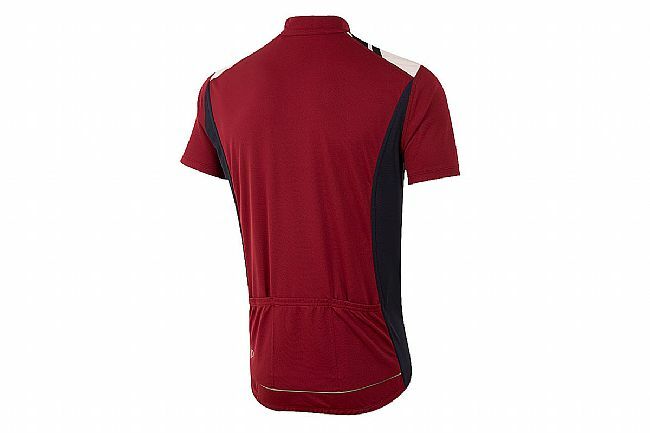 Great everyday jersey with an easy fit and looks good. Nice fabric and fit. Tends longer which is also nice.